I love spring so much–the weather warms up and everyone starts going outside. And then the sun shines in your house and you see how dirty your house got all winter. Ha! I made a helpful spring cleaning list a few years ago, but who wants to do that all by themselves? 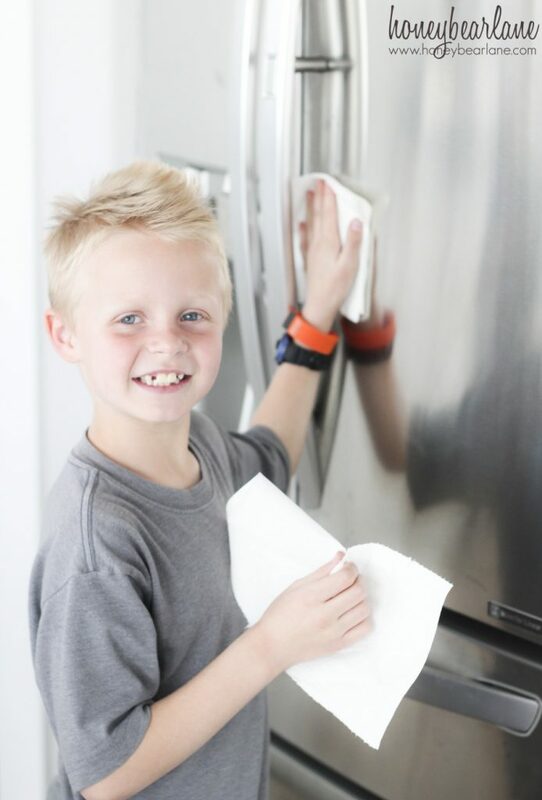 Have your kids get involved in the spring cleaning and make the jobs go faster. But here’s the catch in kids doing chores–they don’t usually WANT to! I know, right?! I mean who wouldn’t get sheer delight in scrubbing the house top to bottom? Well there are some of you I’m sure, but my kids are not in that category. So I decided to make it a game. 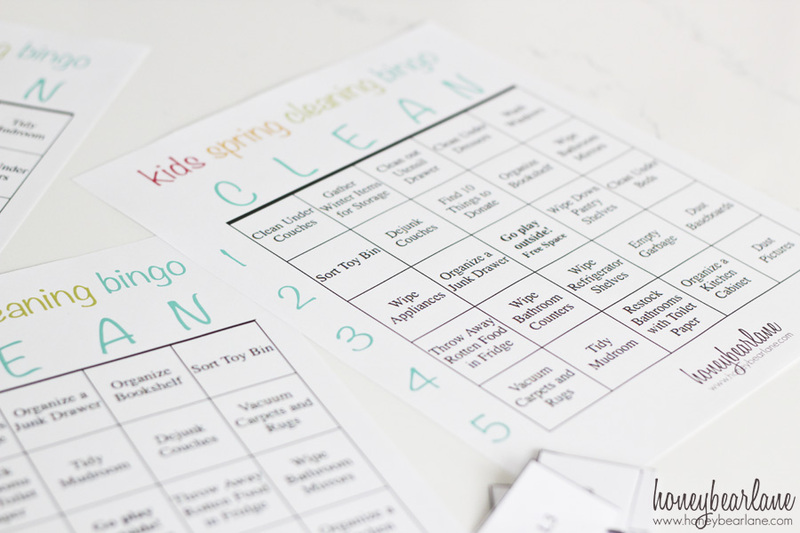 Every kid can get a BINGO card and play for themselves or with each other. 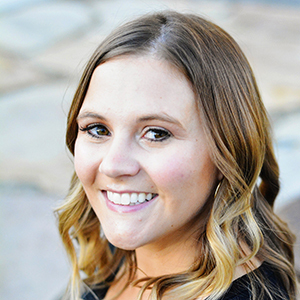 Most of the tasks are pretty doable for most kids, even little kids can do several of the activities, especially with help and supervision. I did this with my kids and they were so excited (well at first–it is still chores after all!) But they were really motivated by the BINGO rewards! 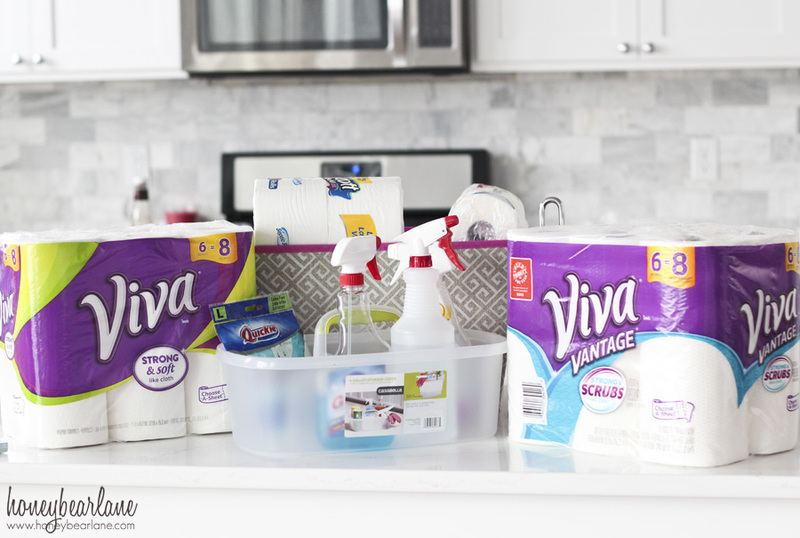 We used the Viva® Soft and Smooth towels to clean our baseboards. I was amazed at how soft these towels were, you could basically treat them like dish towels and use them quite a lot before it was ready to be throw away. They cleaned up the bathrooms too, by wiping down the counters and toilets and restocking the toilet paper. 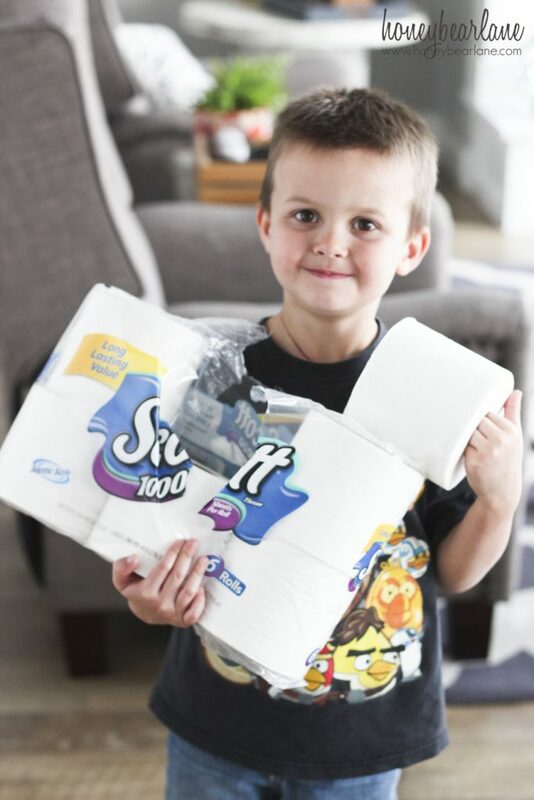 We love to use Cottonelle® because it’s got that clean ripple texture and perfect for kids to wipe their bums. Another brand we use is Scott 1000®. To find out more about Kimberly-Clark cleaning products, visit their site here. Or just purchase them at Walmart, super easy! 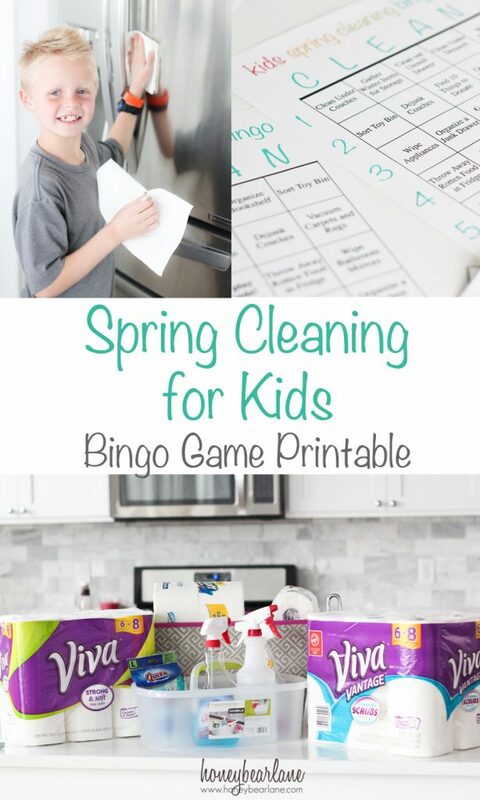 It was so fun to watch my kids get excited about cleaning by playing the Bingo game and getting rewards for their hard work. And it’s especially nice because I’m 8 months pregnant so cleaning the baseboards is super hard for me! There are five versions of the Bingo game so you can print out each version so not everyone gets the same thing. Everyone pulls one option out of a bowl and does the chore on it. Then they get to cross off that item and pick another option to complete. Doesn’t hurt if they get a candy or something after crossing off an item. Once they get a BINGO they get a bigger treat–it could be anything from a candy to money to an activity. It’s a fun way to spend spring break by being productive and getting to do fun things! My kids were so excited to have ways to earn money and they actually had fun because we were all working. This post was sponsored by Kimberly-Clark and The Motherhood. All opinions are my own.